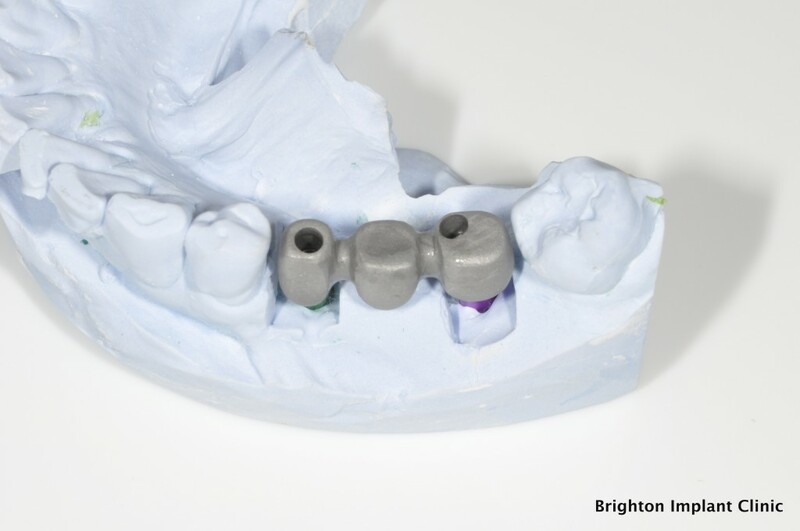 Have you heard of implant retained bridgework? Are you missing teeth and considering replacing them with fixed dental implants? Today we have an example of a patient who came to see our clinic to replace three missing teeth on the lower right side of his mouth. 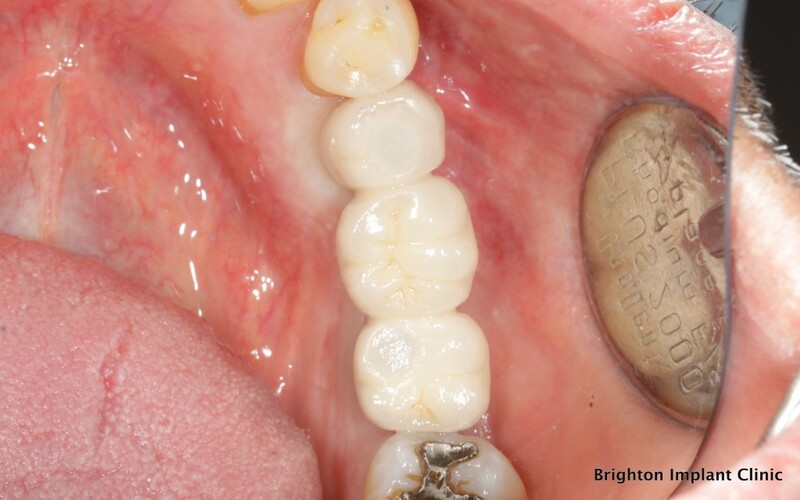 The teeth were missing for two years, and the patient found it difficult to function properly. Eating was difficult as the patient was accustomed to chewing mainly on the right side. One does not realise that when we are missing teeth in an area, the opposing teeth are rendered useless since there are no teeth on the other side for them to work against. The patient called on our clinic and a detailed assessment was carried out. We ordered X-rays and a CT scan to ascertain if sufficient bone was present for the placement of dental implants. 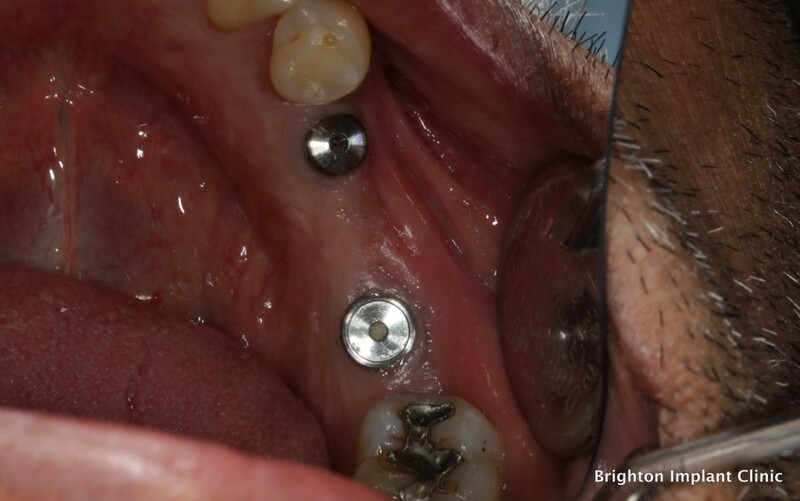 The decision was taken to place two dental implants to support a three-unit implant bridge. The surgical procedure usually takes about an hour to complete. Most patients have this treatment carried out under local anaesthetic, but we do offer sedation for patients who are anxious about dental treatment. Once the implants are placed, we allow a 3-4 month healing period. During this time, the implants integrate into the jawbone and become fused with the jaw. After four months, impressions are taken and these are sent to the dental laboratory. In certain cases, we prefer to test the final restoration in metal prior to completing the permanent fixed teeth. This is called a metal try-in. Once it is confirmed that the restoration is being correctly made, we then proceed to completing the bridge with tooth-coloured porcelain. The whole process takes 4-6 months to complete. During the final appointment, the bridge is fixed to the dental implants by means of abutment screws. 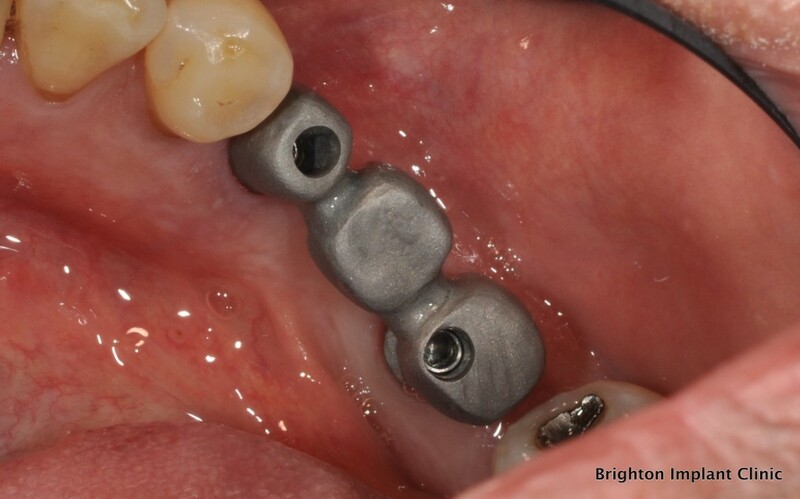 Where possible we prefer to use a screw-retained bridge in order to access implants should this be necessary in future.